This special and tasty condiment can add flavor to any of your Caribbean dishes prepared. It can also place a special twist of Caribbean flavor in any exciting dish prepared for you and your family. Such a condiment can be used in your stew dishes, curried dishes as well as your favourite snack doubles. 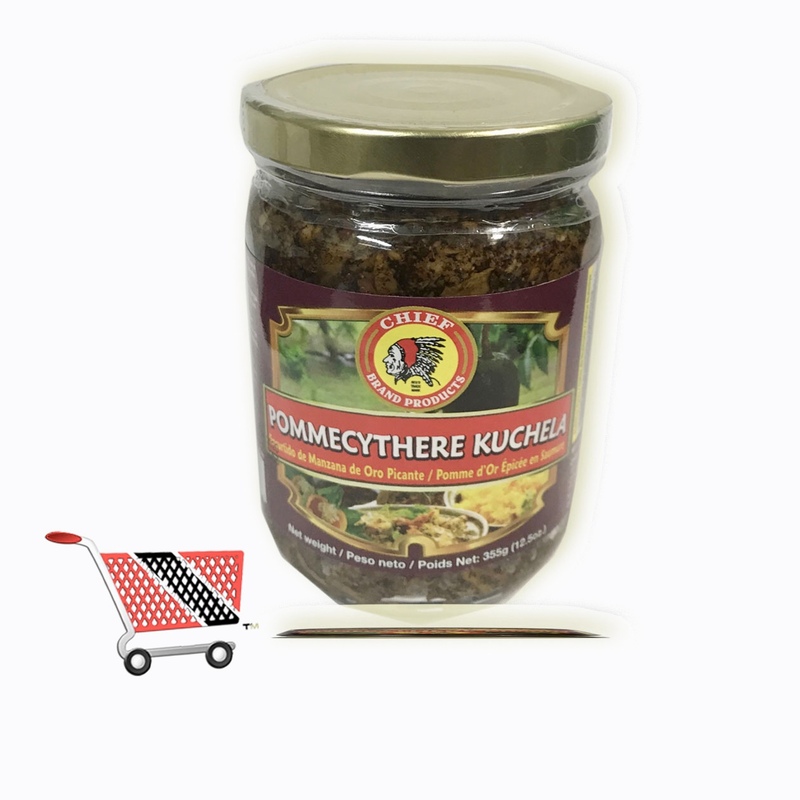 Buy Pommecythere Kuchela by your trusted Chief brand in MyTriniGrocery.com. The Ultimate Pommecythere Chow (pickled ambarella). Click the button below to add the Chief Pommecythere Kuchela to your wish list.